Photo courtesy of Jana Gagner; for permission to re-use, email eedwards@umd.edu. Jennifer Gagner, a Montgomery County High School student who has been working in Alan Migdall’s group, recently earned second place in the Montgomery County Maryland science fair. 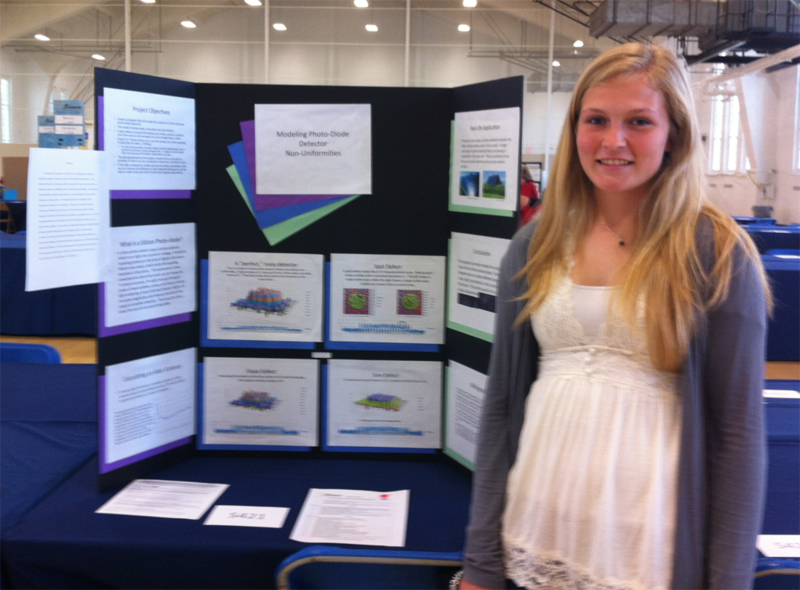 Her project focused on modeling the non-uniformities in a photodiode detector. Postdoc Boris Glebov mentored her in the group. The OSA and IEEE Photonics society have chosen her to receive an award for Outstanding Achievement in Optics.